Yoga without Awareness cannot be Yoga. 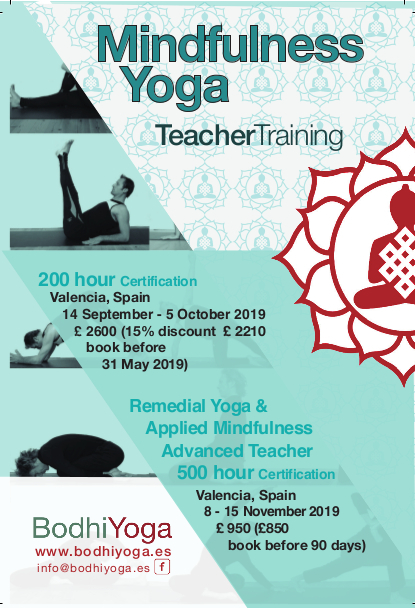 Our teachers gain a clear understanding of how to present a full range of yoga postures and sequencing formats both fast and slow, (vinyasa flow, Yin, a more therapeutic approach) incorporating modern and ancient methods. We emphasise intelligent, sensitive, anatomy-based alignment principles rather than a dogmatic one-alignment-fits-all-approach. Distinctively, we teach how to apply Mindfulness to our yoga and our lives. This awareness empowers us to transform our lives and the world around us. Mindfulness, particularly Mindfulness through the body and sensations (somatic awareness) provides an excellent vehicle to integrate yoga into a complete mind-body training transcending traditions leaving the individual to choose their own path to personal development. Sadhita and Sudaka have been practicing and teaching yoga and meditation for 25 years. 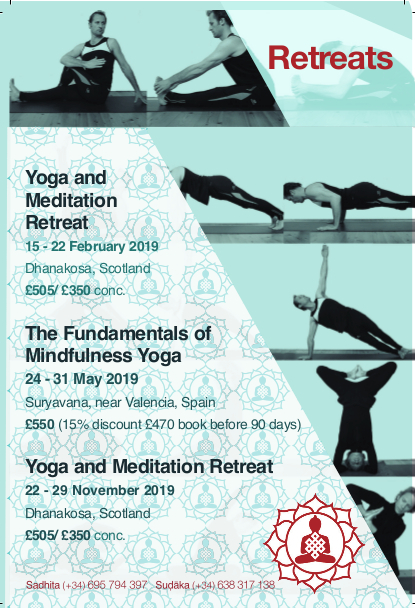 We have run dozens of retreats together and are now offering our 8th edition of the Mindfulness Yoga teacher training. 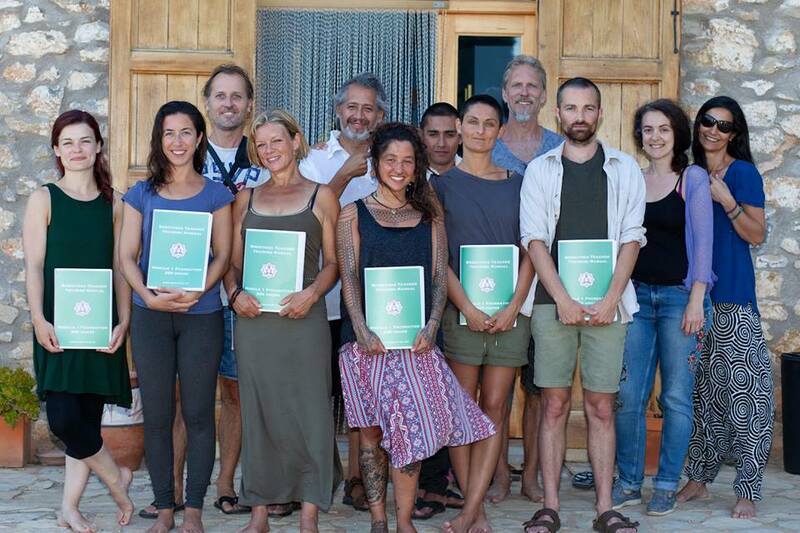 We facilitate an exclusive small group learning environment in the luxury of our new Suryavana retreat centre in Spain just an hour away from Valencia. 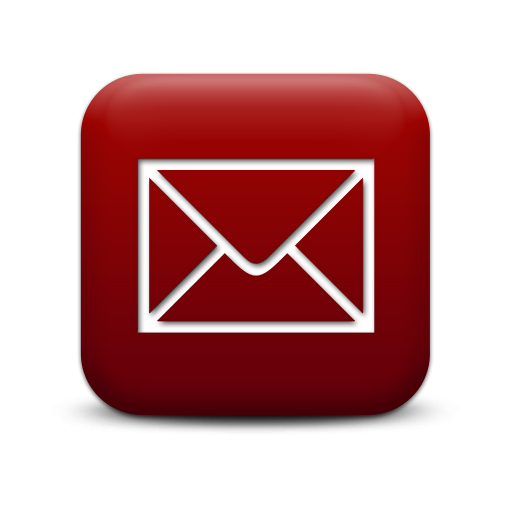 Watch our video showing details of the 200 hour training from our students.